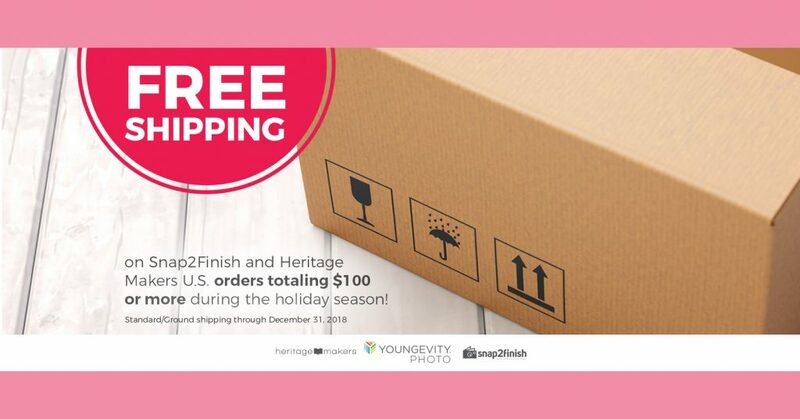 Now until the end of the year, you get free shipping on all your orders of $100 or more! That means all those wonderful creations you are making as gifts can be shipped for free on qualifying orders! So start creating and filling your cart to take advantage of this rare offer! Greeting Cards are on sale until November 10th. It’s a great time to make your annual Christmas card! And for hassle-free mailing, take advantage of Heritage Makers “Ship For Me” service (previously called “Direct Ship”). Just input your address and let Heritage Makers stuff and stamp your envelopes and mail them for you! Easy Peasy!